Every once in a while you just have to get a few things off your chest, and today is one of those days in spite of the cold weather. LAST WEEK the Chicago Tribune ran a story about a proposed golf course on the Chicago lake front. The story has had some traction, but as major golf observers have noted, there are some holes in the big picture of that story. This is a story brought to you by the same people who told you more than once, that a U.S. Open and women members were coming to Butler National in Oak Brook. As Judge Smails in Caddyshack would say… Weeell, we’re waiting. It’s well known that there is no U.S. Open coming to Oak Brook, Chicago, or even anywhere in the State of Illinois through at least 2026. As for ladies day coming to Butler National anytime soon, don’t hold your breath. It always amazes myself and several other veteran golf scribes in Chicago how certain things written in one Chicago paper seem to draw attention, even when most people who know the industry, know the story for what it’s worth. 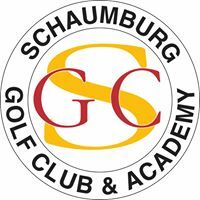 One Chicago area based golf association has made a bad habit over the years of repeatedly tipping off this outlet to breaking stories for unknown reasons, it leaves many scratching their heads. On Sunday Mayor Rahm Emmanuel’s office issued a press release, regarding this proposed golf course. Yes on a Sunday during the Bears-Packers game, that was being played in temperatures which were in single digits. I’ll have more on that in the next day or two. In the meantime, there are too many things that don’t add up to at least 18 holes or more on the lake front of the Southshore in Chicago. Yes it’s nice to finally put some quotes out today in the Emanuel release, but it’s after the fact, in relationship to the Chicago Tribune Story. First up the report about President (for another month) Barack Obama offering the job of being the course architect to Tiger Woods is interesting. Now granted another report says Obama just encouraged Woods to take the job. President for another month or not, it’s not his job to offer, if he did offer it to Woods. Secondly, if this is the big job, big course some think it is, why in the world would it be offered to Woods. I’ve seen some photos of this course BlueJack National that Woods has his name on in Texas, and it does have an Augusta National feel to it, and doesn’t look all that bad. 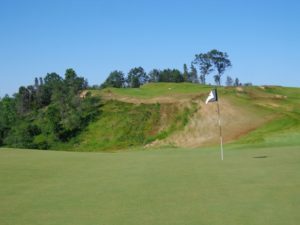 That poses the real question, who is really doing the design work, because inspite of Woods being on the BJN property, he is not exactly Ben Crenshaw, Jack Nicklaus, or even Greg Norman when it comes to golf course design. 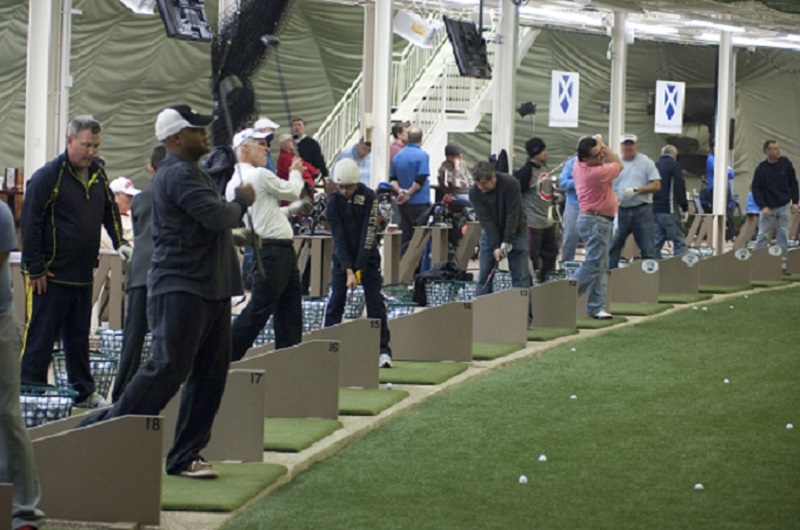 If Chicago is going to sink far too many millions into a golf course on the Southside of Chicago, an area that already has far too many courses struggling to stay afloat financially. 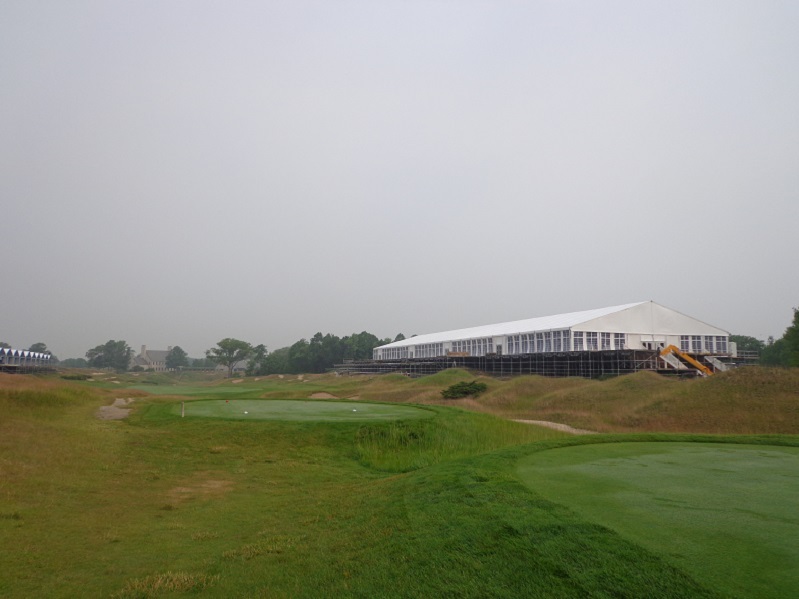 Chicago should bring a top name architect like Gil Hanse, or Ben Crenshaw and Bill Coore. To restore two courses like Jackson Park and South Shore that are over 100 years old, you go get an architect who is a restoration specialist like Keith Foster. You don’t bring in Tiger Woods, who if you haven’t noticed is more worried about playing on the PGA Tour again. 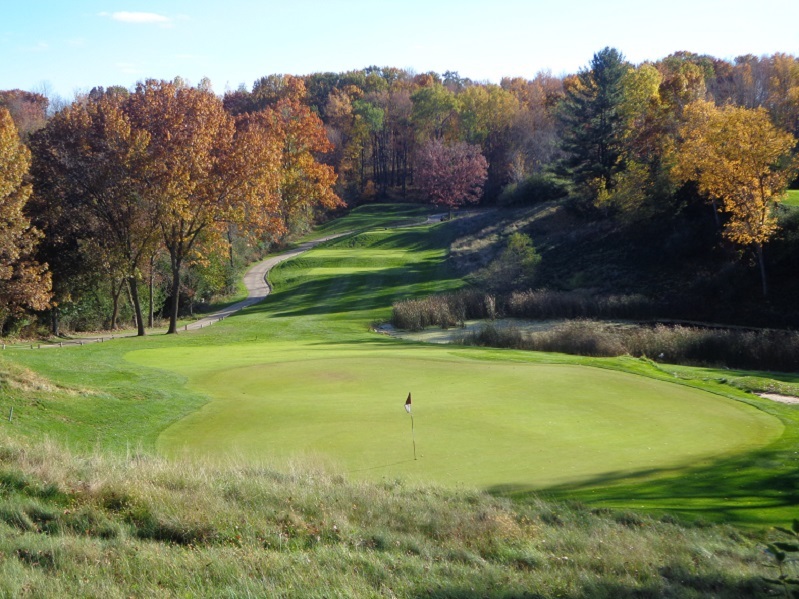 The concept of bringing in local architect and President of the American Society Golf Course Architects (ASGCA) Greg Martin, makes more sense than Woods. If Chicago can have Wilson’s Driver vs Driver show, then why not President with the President. On the money side of this plan the number up front is $30 million, and that doesn’t include for a few other pieces of the pie that need to be added. Mayor Emanuel has admitted he doesn’t know where the money would come from, and the city certainly is not going to shell out for the project, because it’s trying fix up pension funds that are quite a bit short and has other bigger issues to address. Private donations, well okay who is going to put up that kind of money. There are names like Mike Keiser and or Jerry Rich being tossed around. One story going aorund even has them both pitching in seven figures, my sources say otherwise. Besides both of them and several other area figures with deep pockets who make the world a better place via golf, have been known as folks who don’t sit on the same side of the political fence as Emanuel and Obama, and are not big fans of Woods. Woods agent Mark Steinberg released a statement that says Woods has not accepted the job of being course architect. Even though he is likely to be offered it at some point, by someone other than Obama, like the city or the park district who actually has the authority to do so. Many great Chicago idea’s never get off the ground because of #1 politics, and #2 money or lack of it. This project falls into both categories. That being said, I am all for a lake front golf project that includes the redo of Jackson Park and South Shore golf courses, both run by the Chicago Park District, who has Billy Casper Golf running all of it’s courses. 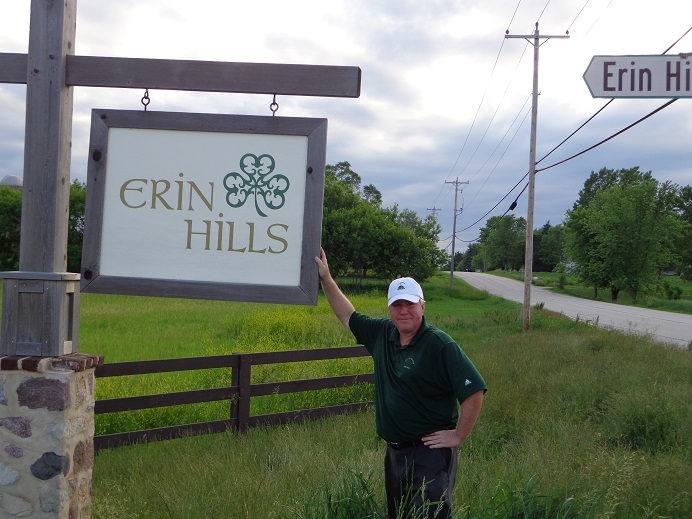 A name that keep’s being left out of the conversation for some strange reason, and there are those Chicago golf industry insiders who know BCG will want their place at the table, IF this project really gets off the ground. 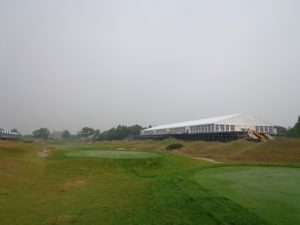 No sooner did one person connected to this project tell me that Obama would be here in Chicago, and be a regular presence at the course, and at his future museum that is supposed to sit alongside the golf course, Obama went and bought his future home in California. Obama does have a home in Hyde Park, which according to sources he will sell, and find something that works better for his future “summer-time” visits to the Windy City. I’m sure the Obama Presidental Museum will happen with no issues, it will get built just as easy as the George Lucas Star Wars Museum will, Oh Wait ! One Southside media/golf historian says hooking the two courses together would be quite an undertaking, but not impossible. But something that would take a lot of effort and far too much money, money that could be better spent in other places. As for a purposed new short course on the site, well there already is one, it’s called South Shore. One source connected to some high finance golf types, says this project has hidden costs that could run the bill up towards $100 million dollars. A figure of even half that amount, would require some hefty greens fees. Are those types of golfers going to drive into an area, that’s far too close to Chicago’s top high crime complex according to law enforcement sources. I loved the part about this course being a potential future site for the 2021 BMW Championship. Really ? First of all the BMW contract is up in 2019, and BMW could be out of golf and not connected to the PGA Tour by 2021. In addition it’s been made clear by BMW to the PGA Tour and the Western Golf Association that BMW wants to be on courses in area’s they can sell their cars or SUV’s. Which is part of the reason BMW left the South Side and won’t go back to Cog Hill, BMW leaving Lemont wasn’t just because Phil Mickelson had issues with the Rees Jones redo of Dubsdread. It’s already been proven that getting large amounts of people in and out of the Chicago lake front area is a major issue, have you tried getting into or out of Soldier Field when the Bears play, or when the place is full for a concert or soccer game, it’s insane. There is no way you want to put over 30,000 a day into the South Shore/Jackson Park area to watch professional golf without it becoming an overcrowded mess, even with offsite parking. While their might be some deals in the works to try and make this project happen, it is certainly a deal that’s far from done. But I wish all-parties involved good luck, and I do thank the Chicago Tribune for getting people thinking about golf in Chicago, in the cold month of December. 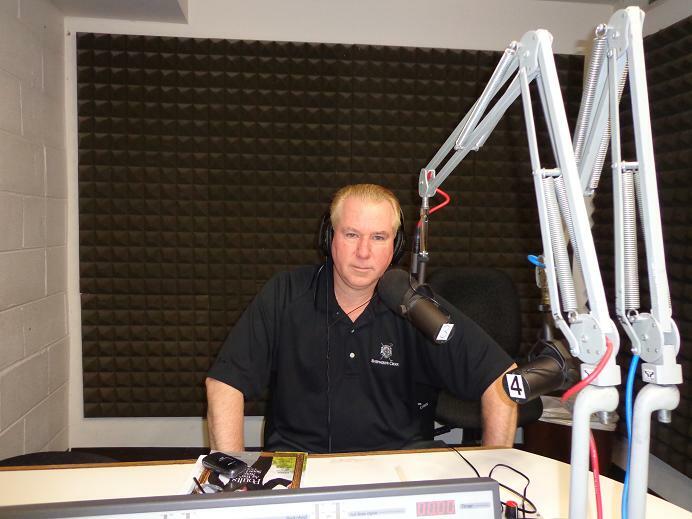 THE MORNING DRIVE HUSTLE, I have found it interesting to see how many properties, golf resorts, golf courses or golf organziations are being scammed into making their big announcements on The Golf Channel, especially during the Morning Drive Show. The latest property and organziation’s to fall victim to this hustle, was the French Lick Resort and the LPGA/Symetra Tour/ and the LPGA Sr. Legends Tour. While the new LPGA Sr. Championship is a great idea, and the format is a great idea in bridging the various tours together, this event could have been announced at a better time and in a location where it would have got some real air time, with more media, and the support of the local and national media who would give the announcement more than the 2-3 minutes The Golf Channel does. If your blink at some early hour of the AM, you will miss everything. Which is no way to hit your first drive of the morning. The local or national outlets will support your courses, tournaments and other events much more often, and for a longer period of time than TGC. Once your announcement is made, then you look for the additional exposure of being on the MD of the TGC. In the meantime, Kudo’s to French Lick Resort on the new championship, it will be great for golf and women’s golf, and I’m sure FLR will put on the championship in a first class way. CAN YOU WRITE DOWN YOUR QUESTIONS and send them in. NO, WHY SHOULD WE. It always amazes not only myself, but serious veteran journalists when PR and Marketing people actually make requests like this of reporters. First up it gives the impression you are hiding something, Are You ! We are talking about golf here, and you are not the FBI or the CIA. In the past week I have dealt with a large golf organziation and a golf equipment company that both made these requests. After wasting too much time typing out the questions, most of them were kicked back unanswered, or passed along only to be unanswered again. IN THE FUTURE, save everyone some time, make people available, and let them talk over the phone, face to face, or via direct email either answer or not answer the questions. Rule #1 about PR or Marketing, you are a bridge between two parties, not a wall. The concept of, send the questions to me, and I’ll pass them along to someone else, who will pass them along again to someone else process, DOES NOT WORK. So quit embarrassing yourself, your organziation, or company by asking people to do this. THANK YOU. YES, now I feel better. The Gog Blog returns tomorrow, RS. THE GOG BLOG by RORY SPEARS, Editor and Director of Content. 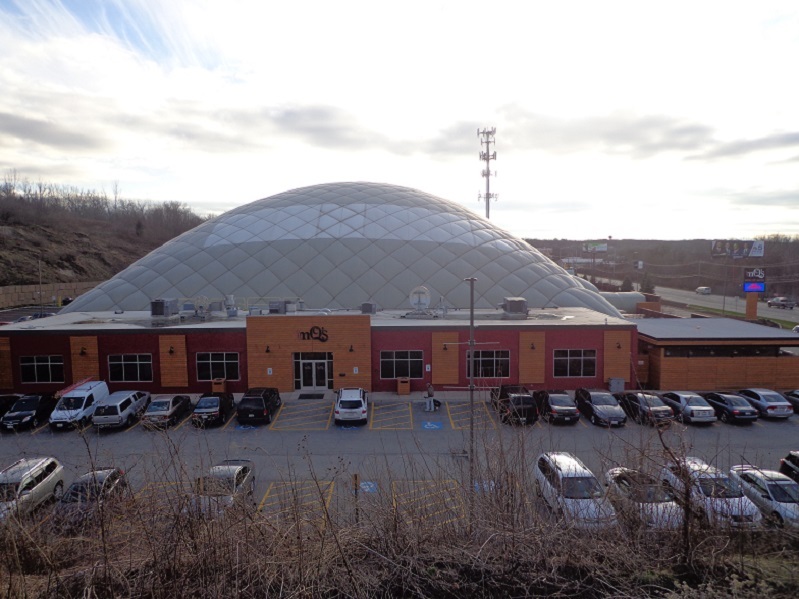 Follow Rory to McQs Dome and on Facebook, Linkedin and Twitter @GogBlogGuy. The Long Putt Contest a Favorite of Chicago Golf Show attendees (L), The Volcano bunkers on the Pete Dye Course at the French Lick Resort, the presenting sponsor of the 2017 Chicago Golf Show, that will be held again this year in the Donald Stephens Convention Center in Rosemont from February 24-26. 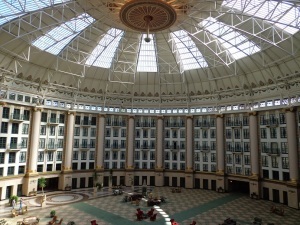 The French Lick Resort is a National Historic Landmark, in the Southern Indiana town of French Lick. The resort just announced this past week it will host the inaugural Sr. LPGA Championship in July. 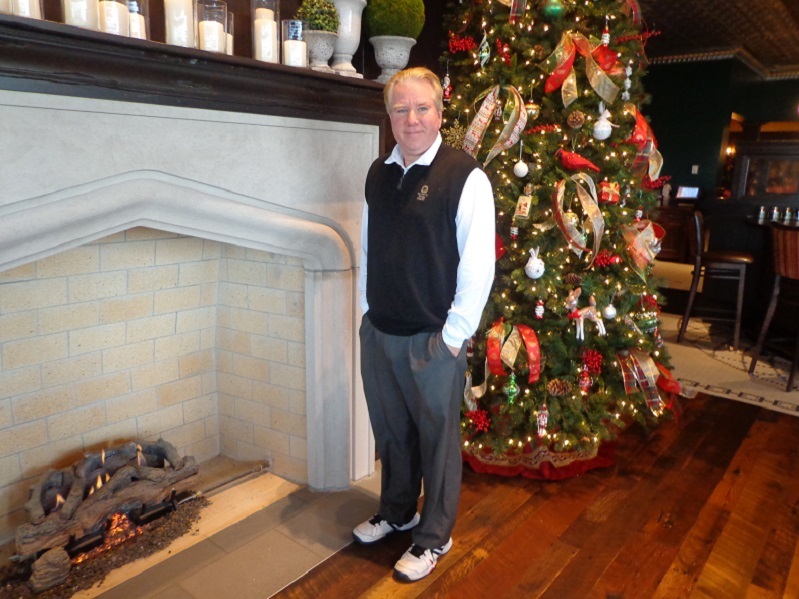 Former Medinah Caddie Brendan Sweeney, now Director of Golf Media Relations and player development at French Lick Resort. 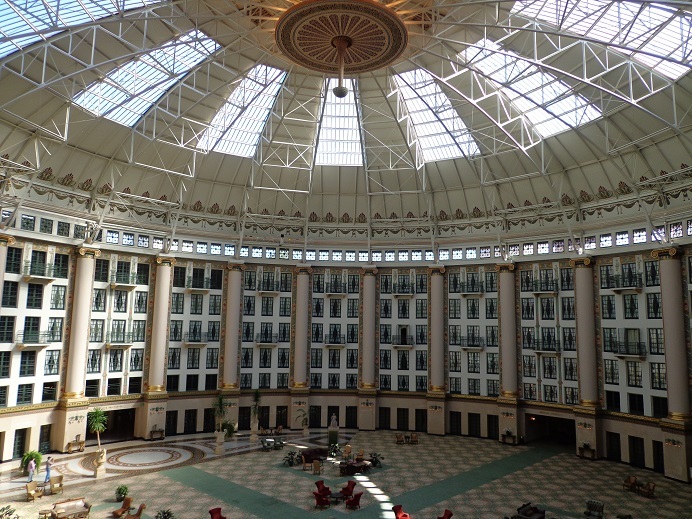 The French Lick Resort is a $600 million historic restoration and casino development spread across over 3,000 scenic acres. French Lick Resort is comprised of the French Lick Springs Hotel, and West Baden Springs Hotel. The two hotels combine for 689 rooms. More information can be found at Frenchlick.com. Four Saturday or Sunday tickets for just 25 dollars, offer runs through Jan. 8, 2017. See the show website. In the last five years the show is averaging close to 20,000 people according to show officials. The show is in it’s 34th year. Chicagogolfshow.com for more details and information. THE GOG BLOG by Rory Spears, Editor and Director of Content. Follow Rory to the French Lick Resort, and to the top of the Volcano bunkers on the Pete Dye designed Golf Course, on Facebook, Linkedin and Twitter at GogBlogGuy. 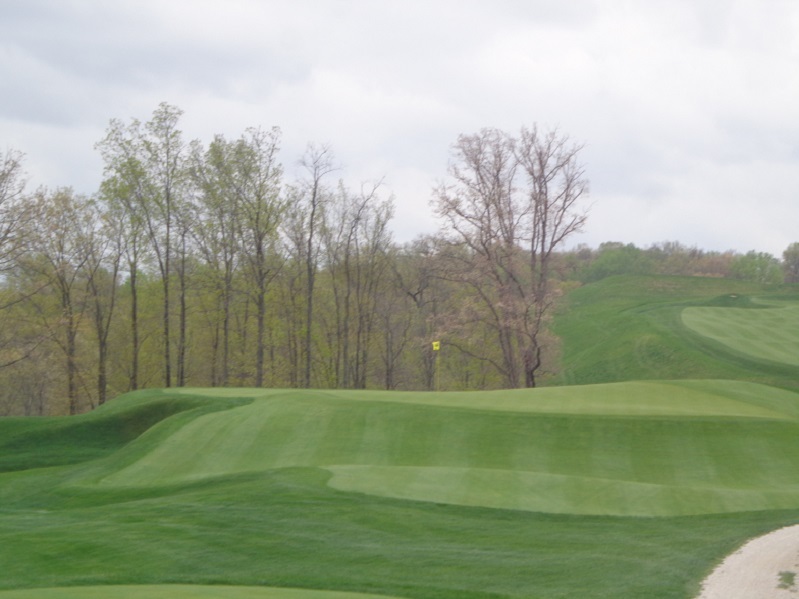 The French Lick Resort one of the premier golf resorts in the country and the LPGA, have announced a Senior LPGA Championship presented by Old National Bank. The championship will be contested from July 10-12, 2017 on the Pete Dye Course at French Lick Resort, in French Lick Indiana. this championship will be part of a celebration of women’s golf in America, and will be televised on The Golf Channel. The LPGA tour has reached a multi-year deal to host the championship. The dates of this 54 hole event will be the Monday-Tuesday and Wednesday of the U.S. Women’s Open week. 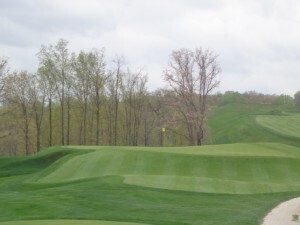 A Par 3 hole, on the Pete Dye Course. The field will consist of 81 players and a collection of LPGA Hall-of-Famers, current LPGA members and major championships over the age of 45. The 54 hole event will be a no-cut event with a purse of $600,000. The historic French Lick Resort West Baden hotel. The French Lick Resort has a long history within women’s golf that dates back to 1957 when Louise Suggs captured the French Lick Women’s Open on the historic Donald Ross Course. That saw Betsy Rawls win the championship in 1958 and Mickey Wright in 1959. Championship week starts off with a Symetera Tour event on the Donald Ross Course from July 7-9, this 54 hole tournament will have a $200,000 dollar purse with $30,000 going to the winner. In between both tournaments on July 7th and 8th will be a pro-am on the Pete Dye Course. For more information on playing in the pro-am an LPGA legend, sponsorships, volunteering, or other information see seniorlpga@frenchlick.com. 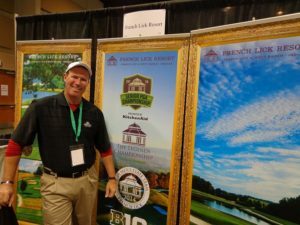 For more information on staying and playing golf at the French Lick Resort, see Frenchlick.com. Yesterday while shopping in the Schaumburg area, I stopped at the PGA Tour Store. It took a while on my own to find the area where Wilson Clubs are sold in the store. But once I did, I looked for the Wilson Triton Driver, there were none. I tracked down a store employee who told me the Triton had been pulled from the stores shelf’s because of the non-conforming issues with the USGA. They could not give me a date when the Triton would be put back on the floor for sale for it’s customers. This has to be disappointing for Wilson Golf that was on a roll, after the final show of Driver vs Driver. Triton which is listed at $449.00 at the PGA Tour Store, probably could have sold well during the holiday season. Can Wilson regroup in time for the PGA Merchandise Show in Orlando in late January, as of now it’s hard to say. I was told that customers are still coming into the store and asking to hit Triton. BIG 3 partner Len Ziehm reports from Florida that, there was a demo day at a store in Florida with the Triton as the main feature, that however doesn’t seem to be the picture right here in Wilson’s own back yard, Chicago. The USGA in spite of my requests, is still not making technical director John Spitzer available for an interview. I was invited to submit questions for him, only to be told “most” of the questions submitted, now have to be referred to Wilson Golf. The other one’s I am still awaiting answers on, but not holding my breath. I am still hoping to speak with Wilson Golf GM Tim Clark on Triton, but he too, has not been available. Earlier this week Wilson Golf released a lengthy 2-page statement, that has no quotes from Clark or anyone else at WG. But here is a summary of it’s release. 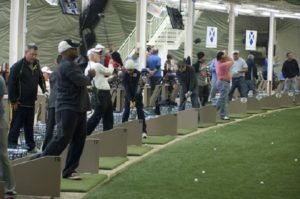 MORE THAN 18 MONTH’S AGO Wilson Golf and The Golf Channel set out to do something unprecedented in the golf industry. We wanted to create an innovative, crowd-sourced golf driver through an engaging television series designed to open the game of golf to a broader audience and bring new and exciting ideas and products to fairways everywhere. 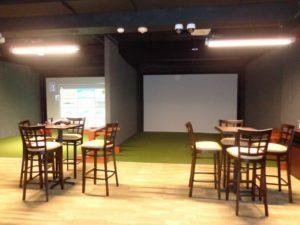 We saw Driver vs Driver as a compelling way to educate golfers on how drivers are designed, developed and manufactured, with particular emphasis on how to create products that conform with USGA and R&A regulations. The winning design, the Triton Driver is the most adjustable multi piece driver ever introduced. Early feedback from professionals and amateurs, has been extraordinary. The normal timeline for submitting new products to the USGA was compressed because of the format and confidentiality of the program. The USGA pushed through a ruling on the 9 degree model so it would be ready for PGA Tour play in January. It was ruled conforming. 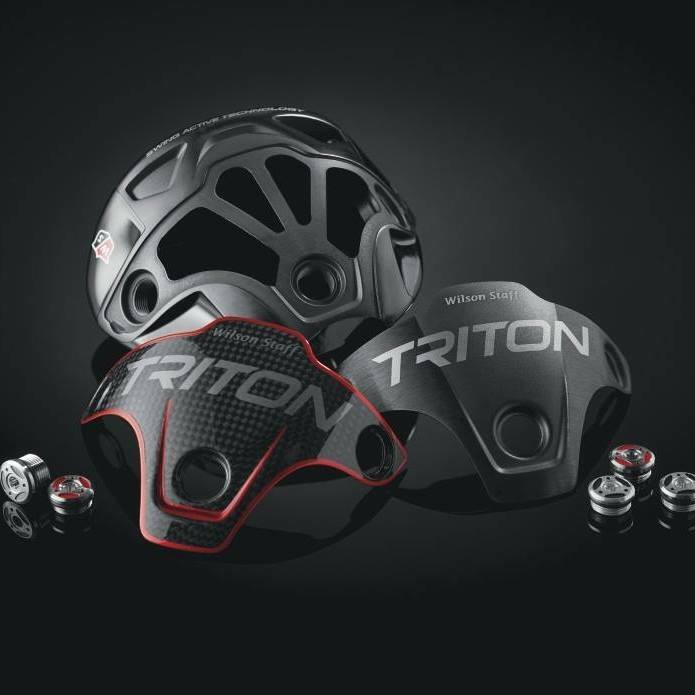 But the USGA had concerns about two features on Triton, in the retail market. The first feature is an aesthetic one, that involves reducing the rear edge of the drivers sole-plates by a few millimeters. The USGA has informed us that a minor modification to the sole plates will bring Triton into conformity with the “Plain in Shape” rule. This small reduction is consistent with the sole plates of the 9 degree Triton model. The second issue is related to the optional 12 gram weight on the 10.5 and 12 degree Triton accessory kits. In testing the driver with the maximum 24-grams of weight, with an optional 12-gram weight in the toe of the club, the USGA observed a CT (Characteristic Time) that was slightly above their allowable limits and testing tolerance. Wilson would like it noted here that, this combination of the Triton Titanium sole plate and this extreme weight configuration was not used in Wilson’s evaluation of Triton, as it would have resulted in a heavy swing weight and a fade/slice bias. Wilson says, “they are very disappointed” in the USGA’s position on Triton, and that doing what’s right for our players and for the game of golf come first. Wilson add’s it’s record of 100 years of bringing conforming golf products to the sport, and that Triton is not the exception, regardless of the configuration. As a result, Wilson is removing the optional 12 gram weight from all Triton accessory kits, and the Triton with new sole plates have been submitted this week. Wilson is confident these changes will satisfy the USGA’s concerns, and Triton will be listed as conforming by December 19th. Once Wilson receives a conforming ruling, it will exchange the current sole plates for the new ones. 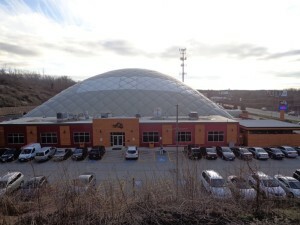 The new plates will be identified by a “DVD” logo on the bottom of the Triton club. For players who have already purchased a Triton please visit Wilson.com/Triton to register for the program. On January 1st shipments of the Triton DVD Driver will be available through Wilson golf authorized dealers. Wilson says it’s excited by the prospect of Triton being enjoyed by golfers of all skill levels. THE GOG BLOG the website side of Golfers on Golf, written and edited by Rory Spears. 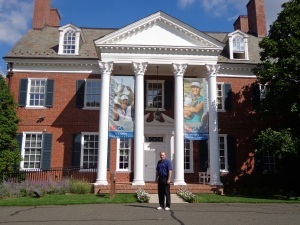 Follow Rory to USGA headquarters in Far Hills NJ., or on Facebook, Linkedin and Twitter @GogBlogGuy. THE USGA had made it a split vote, when it comes to conforming the new Wilson Driver Triton. Based on a release today from the USGA, here is what has happened to this point. This statement released via USGA Director of Public Relations Janeen Dirscoll. 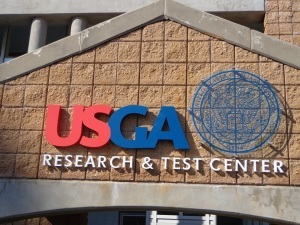 The statement from the USGA continued to say, We have deferred all other questions about the drivers directly to Wilson, as our Equipment Testing Procedures that we’ve provided to all manufacturers states that details of individual submissions will not generally be published. They remain confidential between the submitter and the USGA. We’re sticking to our policy. 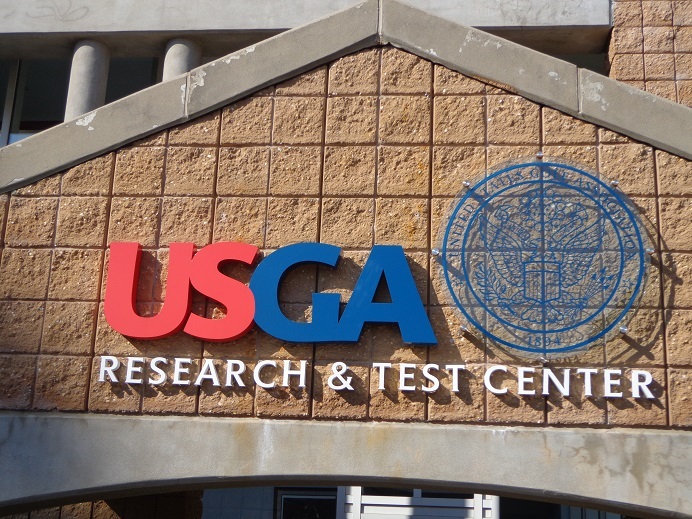 Golfers on Golf has submitted 5 questions to the USGA regarding the testing process, after the USGA offered to assist in that process. Three of our questions were sent back to us, and we told those questions would have to be answered by Wilson Golf. Wilson Golf has released a statement that Golfers on Golf will break down and provide in an upcoming post shortly. Stay clicked in. 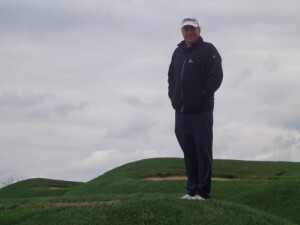 THE GOG BLOG the website of Golfers on Golf, by Rory Spears Editor and Director of Content. 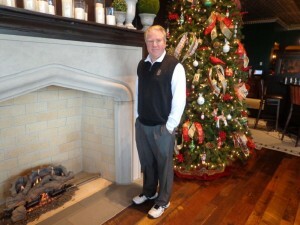 Follow Rory on Facebook, to the Schaumburg Golf Club, on Linkedin and Twitter @GogBlogGuy. 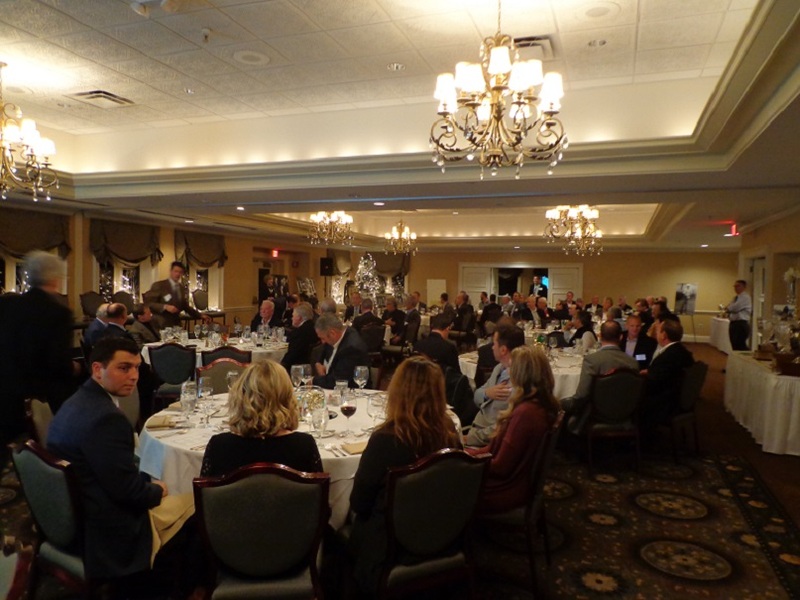 The Illinois PGA Section held it’s Centennial dinner this past week at the Ruth Lake Country Club in Hinsdale. Ruth Lake is the home club of new section president Mark Labiak. The evening was attended by close to 90 people, that consisted of Illinois PGA section members, IPGA staff, sponsors and media representatives. A panel of long time IPGA members spoke about the history of the section, and other experiences and great advice they received over the years. 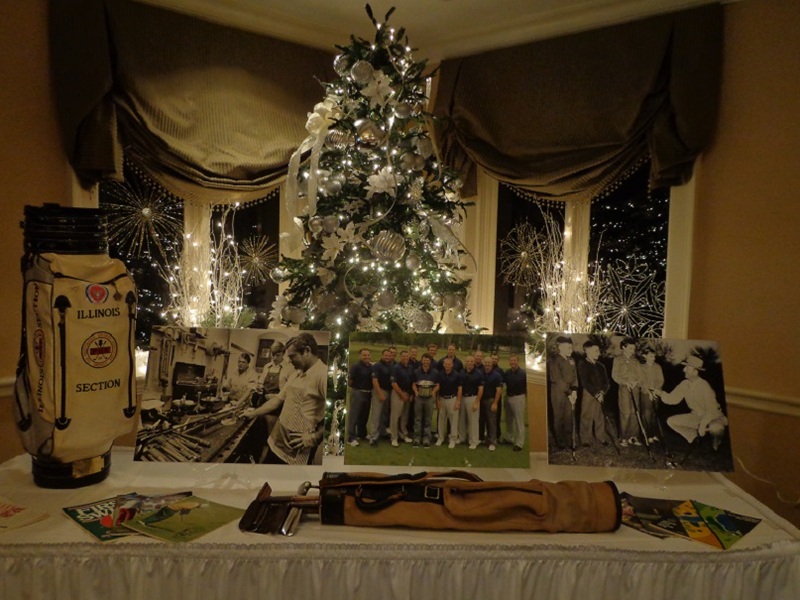 Dinner time at the IPGA Centennial Dinner at Ruth Lake Country Club (L), (R) some of historical display set up in the main dinning room. The PGA of America and the Illinois PGA both celebrating 100 years in 2016, wish them well on another 100 starting in 2017. 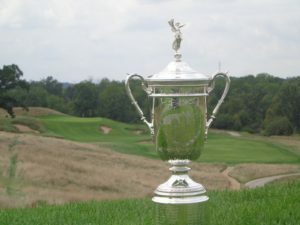 More information on the PGA of America can be found at PGA.com or on the Illinois PGA at IPGA.com. A centennial book on the PGA of America has been published and you can learn more about where to purchase and other details at PGA.com. THE GOG BLOG by RORY SPEARS, Editor and Director of Content. 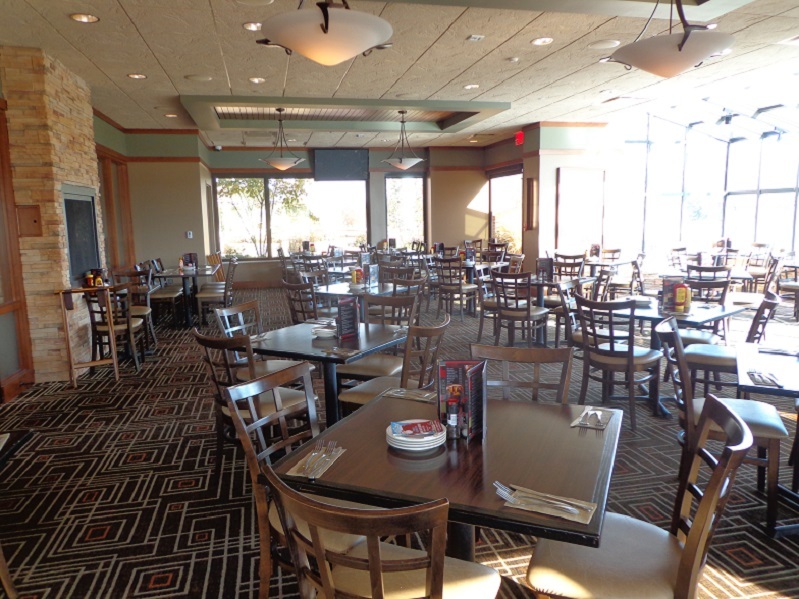 Follow Rory to McQ’s and McWethy’s Tavern at Mistwood, or on Facebook, Linkedin and Twitter @GogBlogGuy. The tournament was moved back an entire month, it was pitted up against the Olympic games in Rio, but still the John Deere Classic played in Silvis Illinois, on the edge of the Quad Cities has been named by the PGA Tour as the 2016 PGA Tour’s Tournament of the Year. The credit for making this happen starts at the top, with John Deere CEO and Evans Scholar Sam Allen, along with tournament director Clair Peterson. 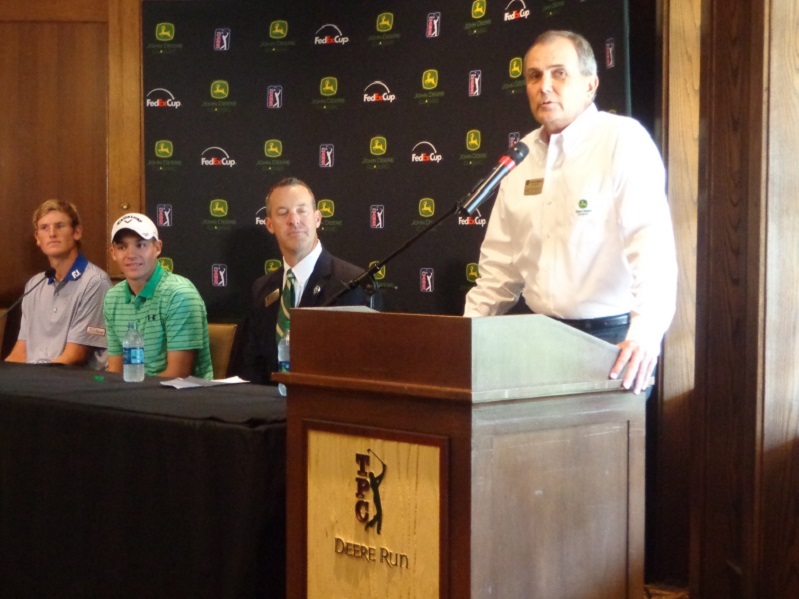 John Deere Classic Tournament Director Clair Peterson (at the podium) speaks at the 2016 JDC media day. 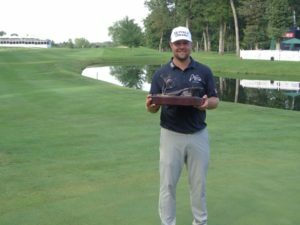 Ryan Moore 2016 John Deere Classic champion with the trophy. Ryan Moore the 2016 John Deere Classic champion, used his win during this years tournament, to launch him to a spot on the Team USA 2016 Ryder Cup Team. On Sunday during the singles matches, it was Moore who clinched the winning point for the USA and returned the Ryder Cup to American soil for the first time in 8 years. This year the John Deere Classic shattered it’s own single year record, by raising $10.54 million dollars for it’s charities, an over $1.8 increase over 2015. The championship has now raised over $81.3 million dollars since the tournament was first played in 1971. The new indoor Simulator golf are in the Schaumburg Golf, see Schaumburggolf.com or call (847)-885-9000. On the social media side, the tournament received over 150,000 “Likes” on it’s Facebook page, and over 38,000 Twitter followers the second highest total on the PGA Tour. 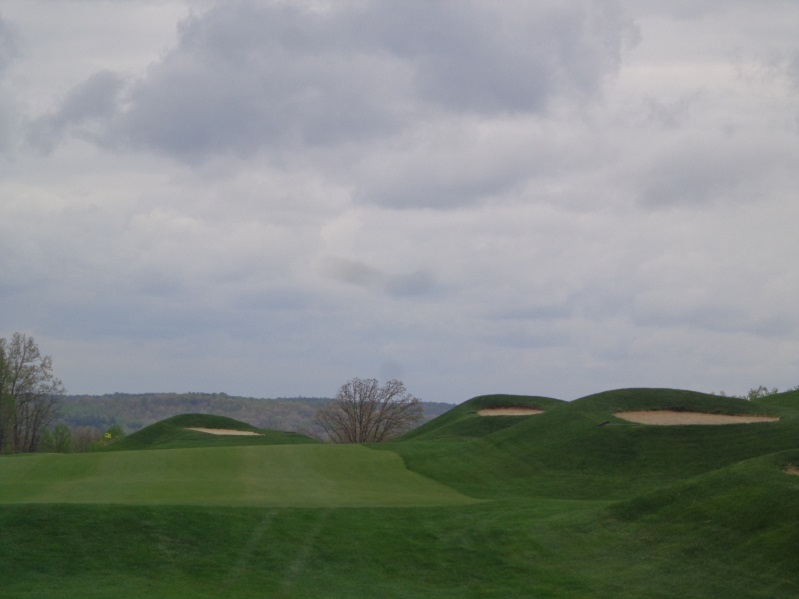 The classic will move back to it’s normal July dates in 2017, and will be contested from July 10-16 at TPC Deere Run. More information can be found at Johndeereclassic.com. Ryan Moore is expected to comeback in 2017 to defend his title. THE GOG BLOG , by RORY SPEARS. 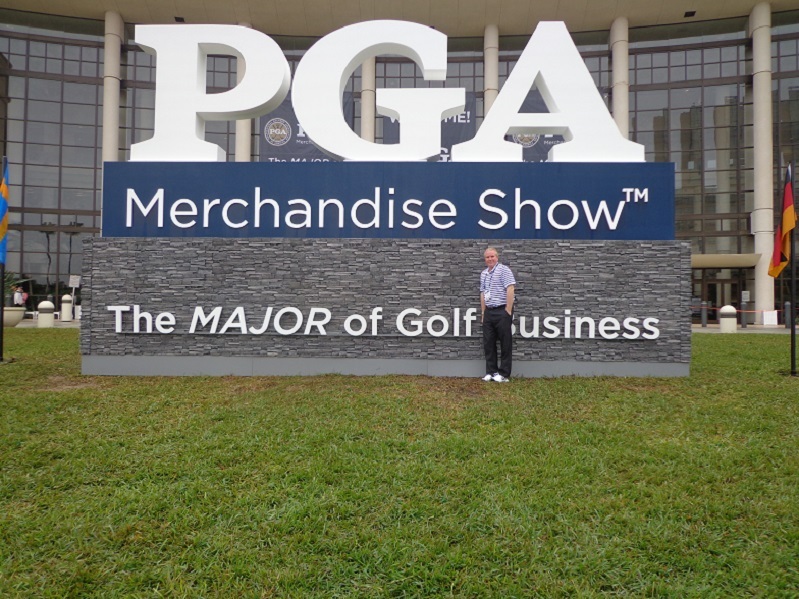 Follow Rory at the 2017 PGA Merchandise Show in Orlando, on Facebook, Linkedin and Twitter @GogBlogGuy. 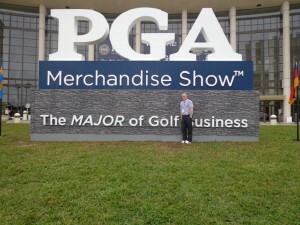 Well coming next month in Orlando from January 24th through the 27th, is the annual PGA of America Merchandise Show. For everyone in the golf business it is the most wonderful time of the year. 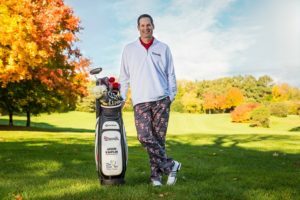 It’s the time of year to be excited about the year ahead, not only the upcoming season on the golf tours, but what’s new in products, ideas, clubs, golf balls, golf accessories, what the resorts will offer and more. For those down in Florida from up north, it’s also a chance to play some golf before heading home to the cold and snow. 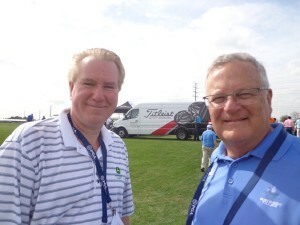 Demo Day at the PGA Show with BIG 3 Partner Len Ziehm. The new golf apparel is always fun to check out, in recent years it has become lighter, more comfortable and colorful. Styles change and whether it’s headgear, footwear, slacks, shirts, sunglasses or shorts, there is always something to see. There is an isle for new products, some of them you can see making a splash and others that won’t be around by Labor Day. The show starts at the Orange County Golf Club at demo day, hit all the clubs and find out how far the ball flies now. Roll the putters, dig in on the wedges, and race around the grounds on products like Golf Board. BIG 3 Partner Len Ziehm and I will report live from the show, hear our podcast here on this website. 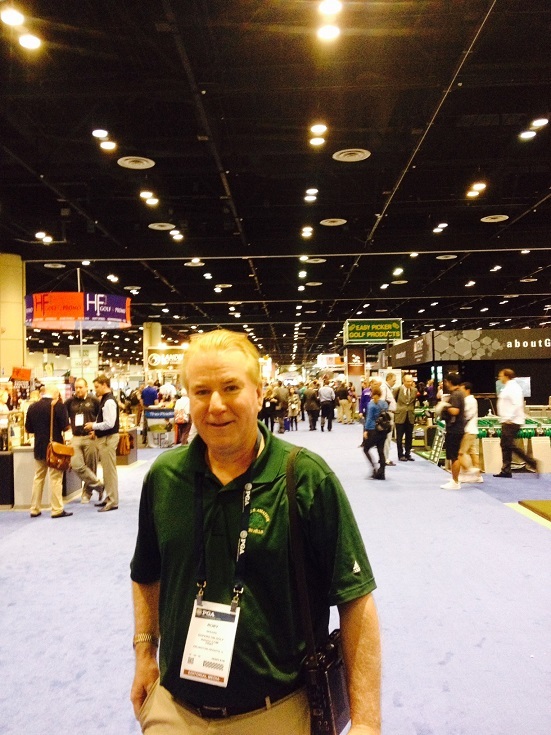 Walking the floor at the PGA Merchandise Show. Photo by artist Cassy Tully. As of now over 40,000 industry members and media members are expected for the show. More than 1,000 golf companies and brands will be on display as well. All the main names in golf are expected, including Wilson Golf, Bushnell Golf, Callaway, Cobra-Puma, Taylormade-Adidas, Titleist-Foot Joy, Ping, Sky Golf, Cleveland-Srixon, Trackman and Tour Edge, Zero Fricton and more. The best names in golf apparel like Polo, Sunice, Carnoustie, Peter Millar, Antigua, Ashworth and Donald Ross, will all have major floor displays. Many prominent names and touring professionals will be present at the show to represent their products, or be present for their sponsors. The Gog Blog, Golfersongolf.com will be present all week at the show, and will have plenty of feed back, so stay tuned in January for all the golf news from the PGA Show in Orlando. 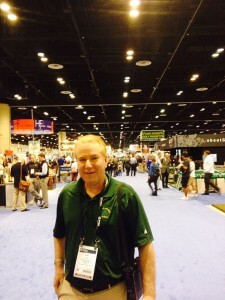 News on the show, which is not open to the public is found at PGAShow.com. THE GOG BLOG by RORY SPEARS, Editor and Director of Content. 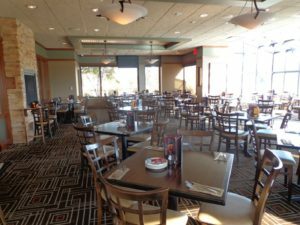 Follow Rory to McWethy’s Tavern at Mistwood, or to McQ’s Dome in Bolingbrook, on Facebook, Linkedin and Twitter @GogBlogGuy. 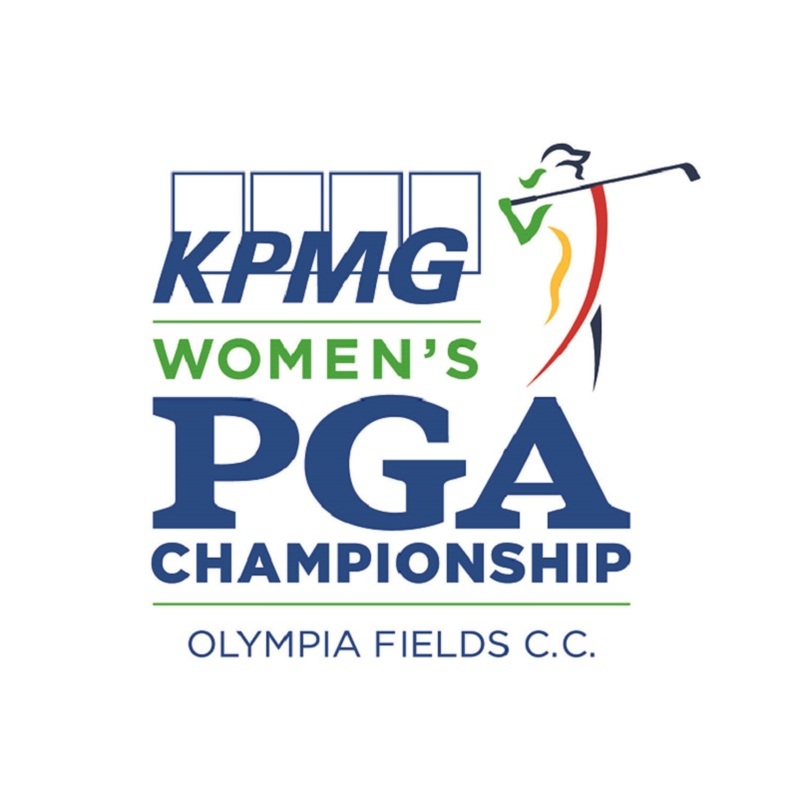 NEED A HOLIDAY GIFT, well tickets are on sale for many of the great golf events of 2017, and now you can add to the list the 2017 KPMG Women’s PGA Championship at Olympia Fields. 2017 will mark the first time this golf championship will be played in the Chicago area. 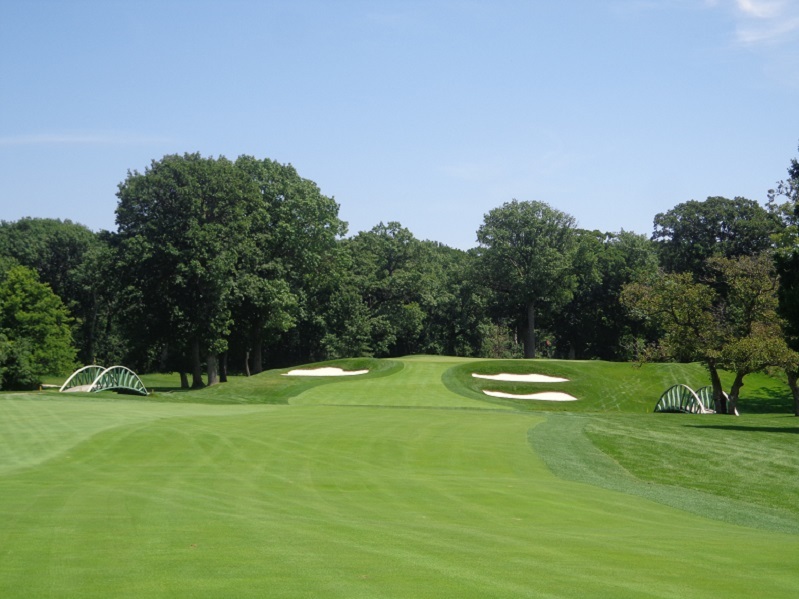 In 2018 the winner at Olympia Fields will defend their title in Chicago’s north burbs at the Kemper Lakes Golf Club. The 2017 championship will be held from June 27-July 2. 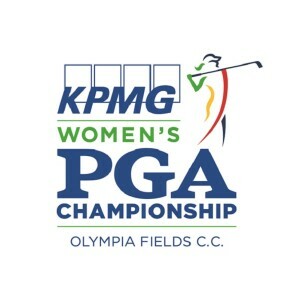 Tickets can now be purchased at the championships website KPMGWomensPGA.com. Daily tickets for grounds will run from $15 to $35 dollars. 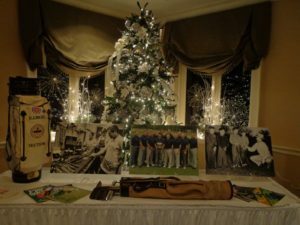 In honor of Olympia Fields history that started in 1915, there will be a 1915 Club as part of the hospitality plan, that will give patrons views of the driving range, live TV viewing, and complimentary food and beverage. One-Day tickets for the 1915 club are on sale for $150 dollars. One of the great holes at Olympia Fields is the par 4, 3rd hole on the North Course. It will be a key test early in the round for the field at the KPMG Championship. Ticket options for the championship include. 1915 Club Ticket $150 per day. ALL juniors 17 and under, will be admitted into the championship for FREE with an accompanying ticket adult (limited to four minors per one ticketed adult). To honor men and women who serve our country in the U.S. Armed Forces, the championship will offer active duty, military retirees, active reserve, National Guard, Department of Defense civilians and accompanying spouses’, complimentary daily grounds tickets. Volunteer positions are still open for the championship, adults who are interested in becoming volunteers can sign up on line or email the championship office at 2017WPGA@pgahq.com. The volunteer package will include a uniform (golf shirt, outerwear piece and headwear) a credential providing site access from Tuesday through Sunday of championship week, a championship program and a limited number of meal and water vouchers. All volunteers are expected to work a minimum of 16 hours. 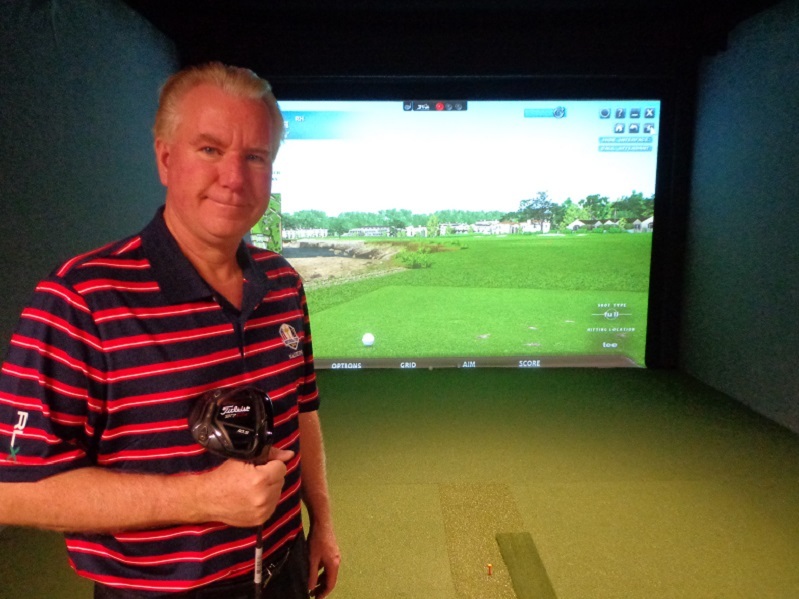 VISIT SCHAUMBURG GOLF CLUB All winter long and golf in the new simulators, practice, play, get fitted or take lessons or enjoy Chandlers Chop House, for great food and beverage. Schaumburg GC Roselle Rd, Schaumburggolf.com or (847)-885-9000. THE GOG BLOG by RORY SPEARS, Editor and Director of Content. Follow Rory to Erin Hills, and on Facebook, Linkedin and Twitter @GogBlogGuy. Every once and a while somebody gets an idea that just seems like it makes sense. Yes maybe this one will just work. Meet Jason Kauflin a Milwaukee area resident with a plan, it’s not a new plan really, but what he’s selling just might be something a little new. There are golf tour operators across the globe, but most of them want to take you to the same destinations. Scotland and Ireland have plenty of tour operators, so does Australia and the Far East. Around the USA how about a trip to Pebble Beach, Bandon Dunes and or Pinehurst, yep there are a few of those people out there as well. You see Kauflin wants to sell you Wisconsin, yes Wisconsin. You know the place, cold snowy winters, shorter golf seasons in some years. But really nice in the summer, with more championship destinations of late than almost any place else, other than the over used New York City area. 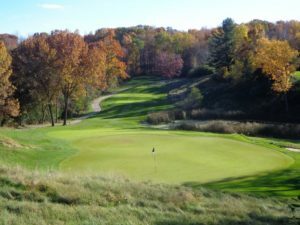 In recent years and for years to come, the USGA, PGA, LPGA and the Champions Tour are wearing out Wisconsin. The U.S. Open will be near Milwaukee next June and the Ryder Cup hit’s the Kohler area in 2020. What more can a golf fan ask for. 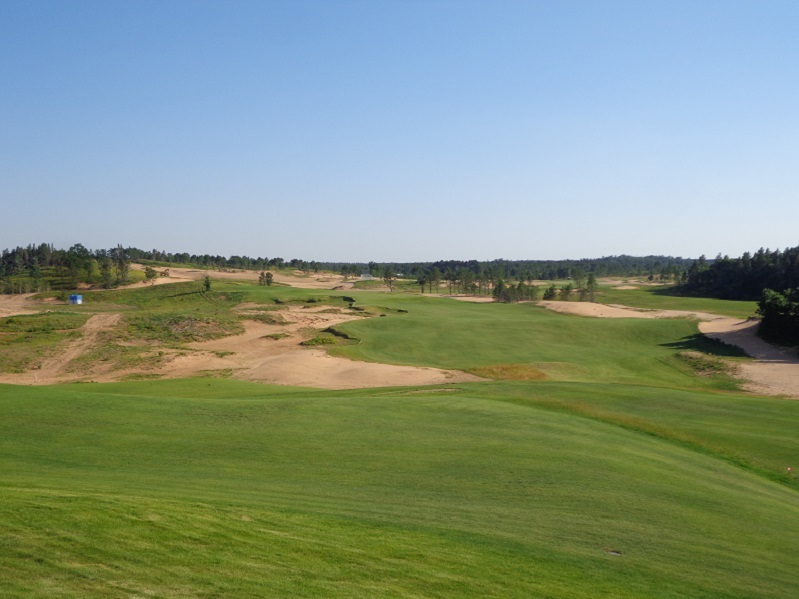 The 9th hole on the Sand Valley Golf Resort’s Sand Valley Course (L) the Par 3, 5th hole (R). 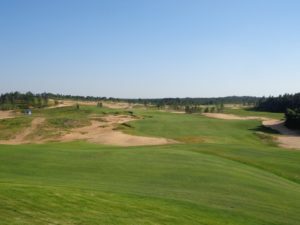 Sand Valley Golf Resort is something golfers can ask for, and thanks to Mike Keiser and his group of founders it now exists. 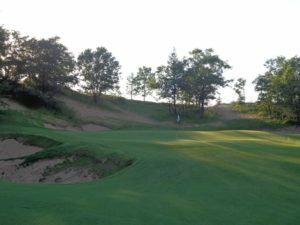 Throw in Sentry World, the Lake Geneva Area, the Bull at Pinehurst Farms designed by the Greatest Golfer of All Time Jack Nicklaus, and Wisconsin has plenty to offer, and Kauflin will make sure you see as much of Wisconsin as you would like to see. Wisconsingolftrips.com summer is just six months away. What’s that song say. On Wisconsin, On Wisconsin Yes it’s time to get on to Wisconsin. IT WAS FAIRLY FUNNY even hysterical to hear the Tiger Woods golf fans last week, Yes Tiger was back, and his back even held up for 72 holes of play, but Woods was running out of gas during round 4, and as the tour pro’s say, leaking oil coming in. HALL OF FAME GOLF WRITER DAN JENKINS put it best when he posted on Twitter,”I must have missed something, Tiger Woods beats two players in a 17 man field and I keep reading he won another major”. It’s amazing that some golf fans think comeback #42 is on for Woods, it’s not. He might play better this year then whenever it was he last played, which doesn’t make much of a statement, but it’s not likely he will win a major this year. A top 3 at a PGA Tour event would speak wonders. PGA Touring pro Daniel Berger made reference on Twitter that the “Greatest of All Time” was back on the course, then one of the real greatest players of all time Gary Player called out Berger, and asked him if Jack Nicklaus was playing. Point-made. No the GOAT was not in the field this past weekend. Before anyone appoints him as the favorite at Augusta this next April, let’s settle down and let reality run it’s course. I don’t care what brands of clubs he is playing now, even though getting rid of some of his Nike clubs will help, even Taylor Made metals, a Bridgestone ball and a Scotty Cameron putter is not enough to save the day. GET WELL WISHES to a few current and former IPGA professionals. In Pennsylvania former IPGA pro Mike Jones has shed his walker after knee and hip surgery, he is back on his feet with the help of a cane. Immediate IPGA past-president Jim Opp is on the mend after back surgery, and Blackberry Oaks gm and head professional Chad Johansen is recovering from ankle surgery. During his upcoming six month layoff, it will interesting to see what Johansen invents next. 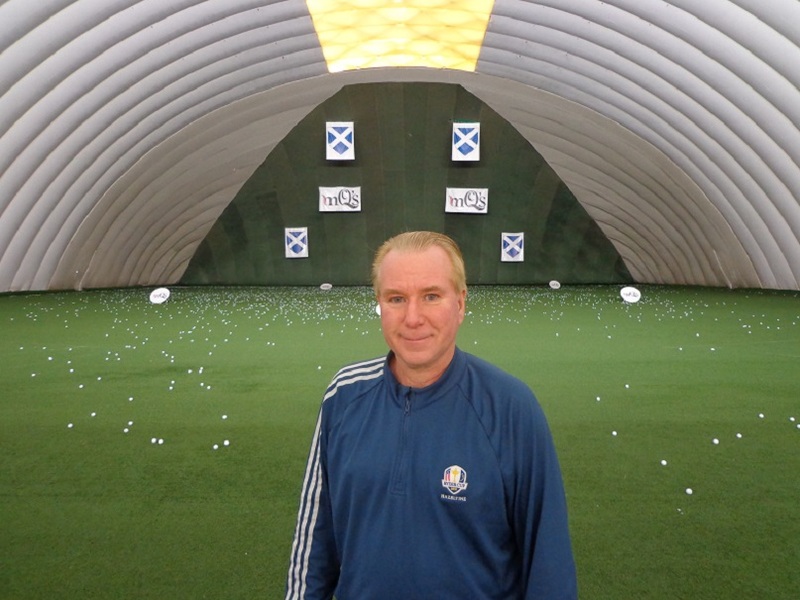 Johansen has already invented the best putting aid on the market, the Perfect Putting Aid and The Guide for Golf. Try out each and improve your game. THE SNOW is here and the bitter cold is about to arrive, it’s dome season, so go inside hit the domes, and be ready for the warmer days ahead, or test out those new clubs that you will get or buy this winter. Now is the time for that.